Sclerotherapy is the treatment of unsightly spider veins. It is not used to treat symptomatic varicose veins associated with pain or swelling. 1. What exactly is a melanoma? 1. 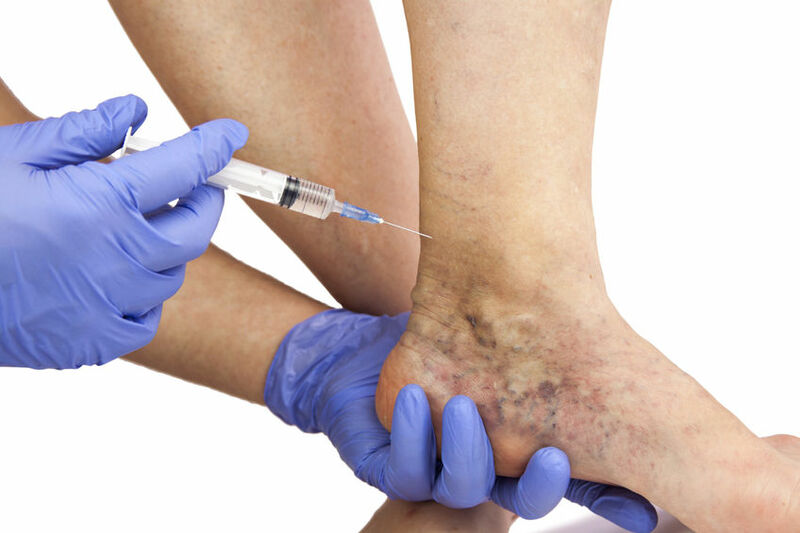 What should a patient expect from Sclerotherapy? You should expect the disappearance of approximately 60% of the visible spider veins after a treatment. 2. How long will the effect of the treatment last? This varies between patients but the effect of Sclerotherapy holds well for more than a year. Patients often come for a top-up after 1 or 2 years. 3. What side effects should a patient expect after treatment? Bruising is the most common side effect and can be minimised by avoiding any agents that anti-coagulate (thin) the blood. Pigmentation and residual fine red vessels are also visible after treatment and these are easily managed with laser therapy. 4. How will my legs look after treatment? The legs are dressed in a compression bandage or stocking. The legs look bruised for approximately 2 – 4 weeks. 5. When will my results be visible? Results are seen after about 4 months of treatment. 6. What aftercare is necessary? Wearing the compression stockings is essential to the success of the treatment and needs to be worn for at least 2 – 3 weeks after treatment. Elevating the legs for 2 days after treatment is also necessary. 7. Which veins can be treated? Sclerotherapy treats the visible blue and bright red veins. It does not treat large veins. Very fine veins, referred to as thread veins, are better treated at follow-up with a vascular laser. 8. How many treatments does a patient require? Patients require between 1-3 treatments. These are done a few months or even a year apart, as the legs continue to improve for months after treatment. 9. What happens to my veins after they are treated? The Sclerosing agent irritates the wall of the vessel making the vessel stick together. This means that the deeper veins are used to transport venous blood and this is as it should be and therefore preferable.